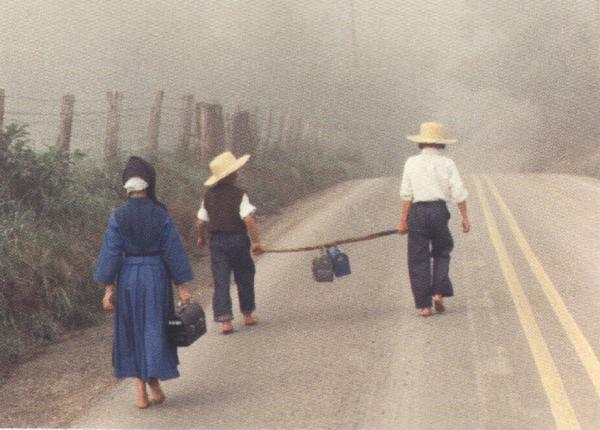 "I grew up in an Amish family in Northern Indiana. 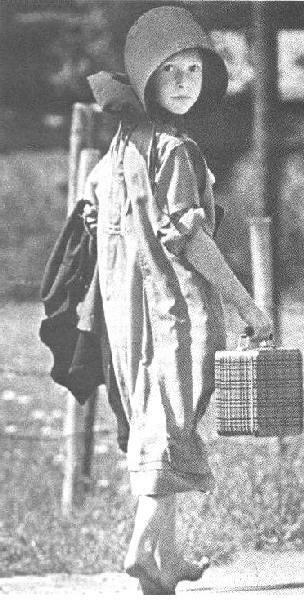 I went to the Amish school barefoot whenever the weather would allow, as did all the children, we would have thought it strange to have shoes on at all in warm weather. 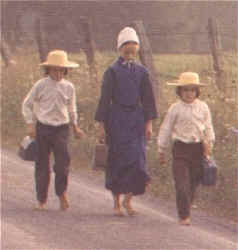 Our feet where as tough as leather, we walked gravel roads in bare feet all the time. I don't remember ever hearing of a foot injury ever. 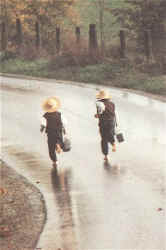 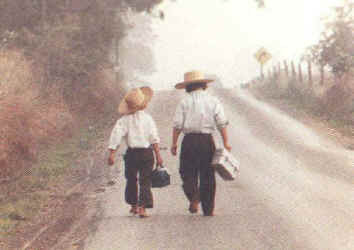 I miss those days, getting to go barefoot to school is a fond childhood memory with me, I wish all kids could enjoy. We sure did." 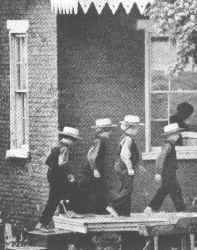 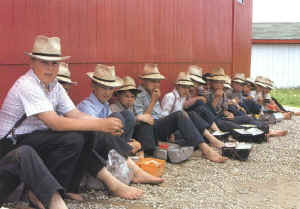 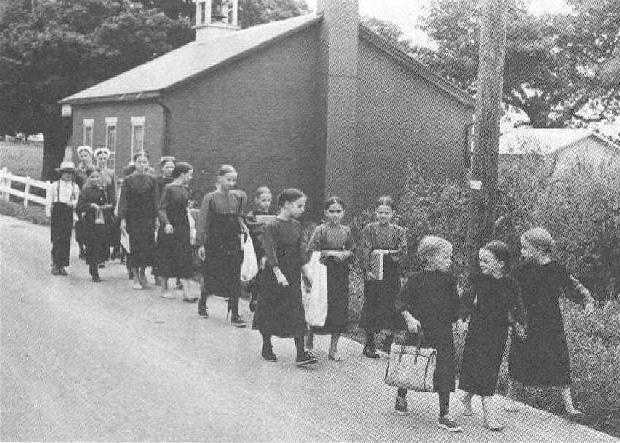 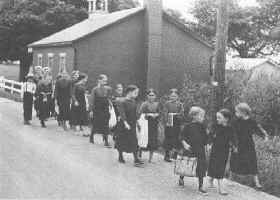 Canada - Mennonite children at their school lunch break. 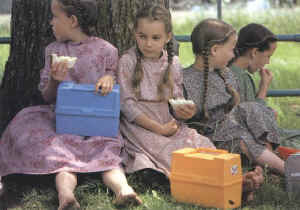 Boys and girls sit separately.